Luxury furniture, Antique reproduction furniture. 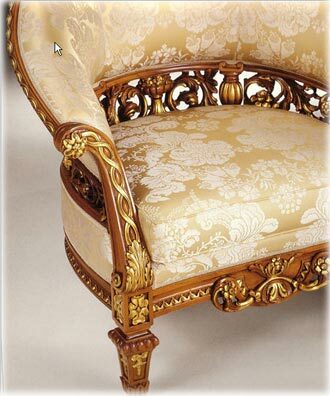 Quality solid wood Luxury Antique reproduction furniture. AJ Grupp is specialized on high-quality solid wood Luxury furniture and Antique reproduction furniture manufacturing. From us you can order all kind of items you can need to comfort your home. There is almost no limit among possible design. 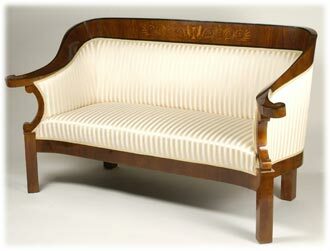 You can order Luxury and Antique reproduction furniture in almost any style: Biedermeier, Jugendstil, Empire, traditional English (Victorian, Georgian), Gustavian Sweden, and also present-day styles. It can also be modern, with clean lines and minimalist aesthetics. We can also combine present-day functionality and classical design with Retro motives. This would give originality and elegance. You can choose design in a variety of ways. Sometimes customer has a specific idea, which he would like to give birth to. For example customer has seen a picture in a magazine or internet, or has some piece of furniture, and wishes new furniture to be among it. Sometimes customer has no definite idea, and he wishes to get advice from us. We have some pictures of our made samples brought out on our web-site. You can choose the design you like the most, and we will take it as the base. Complete design will be adjusted to your wishes. 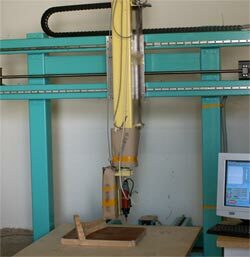 It dose not make difference if you wish standard or not standard measurements. We manufacture all furniture on order. It means that we have no standard material, no standard details, doors, or measurements. Every piece is made just for you, according to your home, your life stile. All our production is made of ecologically clean high-quality material – natural wood (birch, ash, oak, walnut, cherry-wood). Our furniture can be oiled, lacquered, painted, and also waxed. Oil does not contain poisons or chemical dissolvents; wax is made using old receipts: paint is water-based; lacquer stays stable even in the hardest conditions, where furniture should not be hold – in the barn and nearby fireplace. And the most important – every piece of our made furniture contains the warmth of our hearts. Delivery of Luxury and Antique reproduction furniture mostly to UK Germany Finland Estonia. If ordered, delivery also possible to US Canada and worldwide.